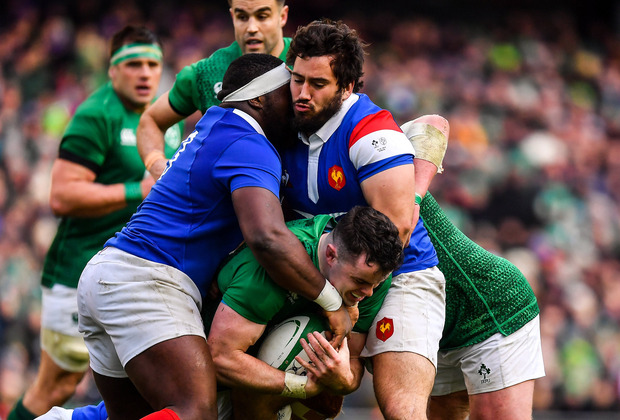 World Rugby has launched a defence of its under-fire Nations Championship concept, insisting the proposed annual tournament can earn the sport over €5bn in 12 years. The global governing body hosted crisis talks with rugby’s top power brokers on Thursday, amid brinkmanship moves to keep their Nations Championship idea alive. Despite revealing details of a proposed multi-billion pound investment deal with sports marketing company Infront though, World Rugby chairman Bill Beaumont admitted resistance to World Rugby’s plans still remain. “I would like to thank my union, competition and player representative colleagues for their candid, constructive and positive contributions,” said Beaumont. “There was strong recognition that World Rugby’s Nations Championship proposal, based on a true pathway for all, has been developed with great care, extensive evaluation and with the global game at the forefront of our thinking. “We are encouraged that the format revisions and robust financial model has been well-received. “Everyone, not just the established teams, will benefit, accelerating the development and competitiveness of the global game. Six Nations bosses are understood to be opposed to the idea of promotion and relegation, that underpins World Rugby’s Nations Championship concept. World Rugby wants to launch a new cross-hemisphere contest in 2022, where the winners of the Six Nations will face off with the top team from an expanded, six-team Rugby Championship. Leading players have criticised World Rugby’s lack of engagement over the entire issue, insisting they have been ignored. And Six Nations chiefs are expected to continue to rail against allowing promotion and relegation in their own competition, while also pushing for a new financial deal of their own, with CVC Capital Partners waiting in the wings to invest. Top players had pre-empted the meeting by demanding a seat on World Rugby’s executive committee, and the governing body responded by pledging to work with the International Rugby Players organisation and club bosses over the proposals. World Rugby moved to outline its position on Thursday ahead of the crunch talks however, with a lengthy statement. The statement read: “At the meeting of unions, competition owners and international player representatives, World Rugby outlined details of a game-changing competition model that delivers a true pathway for all unions through a three-division format and a system of promotion and relegation. “The proposed format would be underpinned by a record commercial partnership with leading global sports marketing company Infront, guaranteeing almost £5billion for investment in the sport over an initial 12-year period (of which more than £1.5billion is guaranteed incremental revenue for the world game).